The Jesus Sutras, or the Lost Sutras of Jesus are early Chinese language manuscripts of Christian teachings brought to China during the 7th century by Alopen, a Persian bishop of the Assyrian Church of the East. 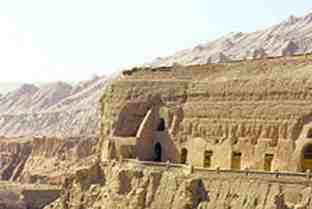 The sutras date from between 635 AD, the year of Christianity's introduction to China; and 1005, when the Mogao Cave, near Dunhuang, in which they were found was sealed. Four of the sutras are said to be located in private collections in Japan, while one is in Paris. Their language and content reflect varying levels of adaptation to Chinese culture, including Buddhist and Taoist influences. The following list uses the numbering and nomenclature of Martin Palmer, an English scholar, author, and translator of Chinese religious texts. The first title is more poetic, while the title in parentheses represents the original Chinese more strictly. Sutra of the Teachings of the World-Honored One (Lokajvesta Teaching on Charity, Part Three). Translated 641 AD. Based on Tatian's Teachings of the Apostles or Diatessaron, a second-century gospel harmony written in Syriac. Sutra of Cause, Effect, and Salvation (First Treatise on the Oneness of Heaven). Palmer sees a similarity with the Buddhist Milinda Panha, the Questions of King Milinda. Sutra of the Teachings of the World-Honored One (Sutra of the Origins, Second Part of the Teaching) Sutra of Jesus Christ. Translated around 645. Refers to karma and reincarnation. Palmer conjectures influence from Tibet, Hinduism, and/or Jainism. Da Qin Liturgy of Taking Refuge in the Three. Translated 720 AD. Let Us Praise (Invocation of the Dharma Kings and Sacred Sutras). The Sutra of Returning to Your Original Nature. Translated c. 780-790. The Xi'an Stele was composed in 781 in honor of a construction project at the Da Qin Pagoda, which is now understood to have been a Christian monastery at the time ("Da Qin" is the Chinese term for the Roman Empire). The Da Qin Pagoda is located near Lou Guan Tai, the traditional site of Lao Tze's composition of the Tao Te Ching. The stele was unearthed in 1625 and is now on display in the nearest major city, Xi'an. Sutra (literally "binding thread") is a Sanskrit term referring to an aphorism or group of aphorisms. It was originally applied to Hindu philosophy, and later to Buddhist canon scripture. In the case of the Jesus Sutras, the term applies indirectly. In Chinese, all religious and classical books are referred to as jing, including indigenous Chinese works, Buddhist scriptures, and other foreign works such as the Bible and the Koran. In the context of Buddhist scriptures, jing is conventionally translated as "sutra". 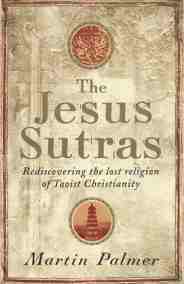 The Jesus Sutras do not carry canon status but they do comingle Christian philosophy with Buddhist and Taoist thought. This page was retrieved and condensed from (http://en.wikipedia.org/wiki/Jesus_Sutras) see Wikipedia, the free encyclopedia, November 2007.